Far-Right GOP Rep. Paul Gosar Asks Capitol Police To Arrest Dreamers At SOTU, Paul Ryan Shoots Him Down - Joe.My.God. You may recall Gosar fleeing CNN’s cameras last October after being confronted for his claim that George Soros planned the Nazi rally in Charlottesville. “Of all the places where the Rule of Law needs to be enforced, it should be in the hallowed halls of Congress. 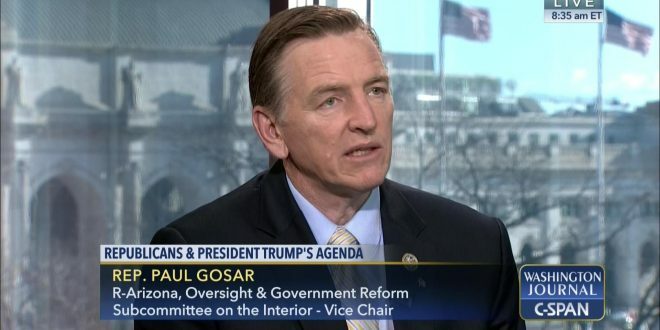 Any illegal aliens attempting to go through security, under any pretext of invitation or otherwise, should be arrested and deported,” said Congressman Gosar.